This was a close one, but Good Will Hunting ended up winning after holding the lead for most of the week. Interesting to note that the Bourne trilogy would have finished first if combined as one result. I’m happy that Rounders had a strong showing — for my money, that’s still the best poker movie of all time. This Week’s Poll: There is just under a month left until the brand new Grand Theft Auto V is released onto the gaming world. The news on Rockstar’s latest game keeps trickling in, and all signs point to this being one of the year’s best games. As such, I thought it would be fun to look back at the GTA series in its entirety. What is your favorite Grand Theft Auto game? Do you prefer the Scarface-inspired 80s hit, Vice City? How about 90s LA in San Andreas? Or is the increased realism of GTA IV more your style? I concur! Good Will Hunting is the best Damon film, but I’m surprised Saving Private Ryan didn’t rate better. In my mind, it’s a close second to Will Hunting :). I’ve heard great things about Elysium though. Apparently, its opening weekend was phenomenal, and it’s causing quite a stir. Can’t wait to see it. I’m curious to see Elysium as well. Some of the mixed reviews have me a little worried, but it seems like it should still be good fun. I’ve only seen/heard positive reviews, but no matter how GREAT a film is, there are always critiques…:), and maybe, Elysium isn’t as awesome as I’ve heard, but only time will tell. Yeah, I think Bourne trilogy would’ve won over Good Will Hunting by a long shot. That’s certainly my fave Matt Damon role. 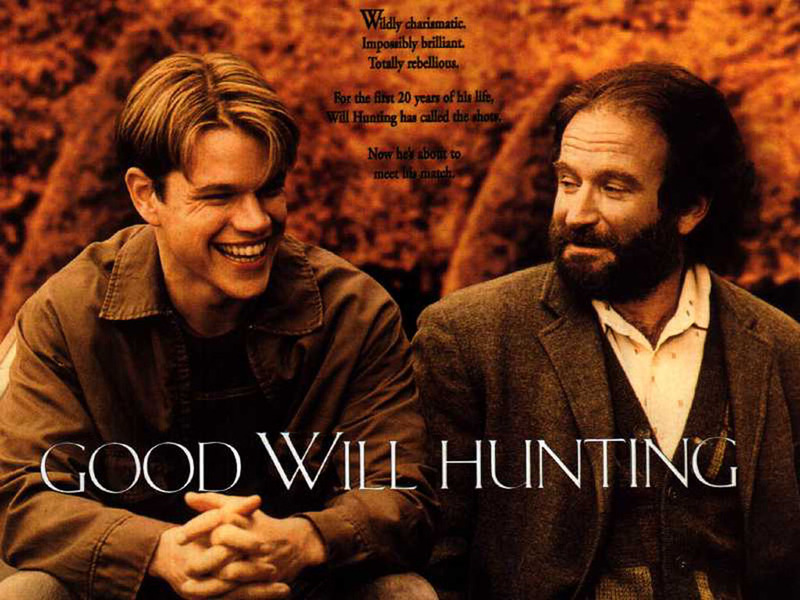 Great poll results, expect Good Will Hunting to get 1st place, great film. Also really like the Bourne trilogy of films as well. Guess I should finally see Good Will Hunting sooner rather than later! It is a very good film, well worth checking out. Nice to see the results. I’m a bit surprised Saving Private Ryan didn’t receive more votes as well, though Damon only has a small role.